The world’s largest retailer earned bouquets as well as a few brickbats when it recently opened a Hispanic version of its large store format, named Supermercado de Walmart. The signs around the store are in Spanish as well as English, selling traditional Mexican national brands as well as traditional Hispanic food like tacos, tortas, aguas frescas, sopes, carnitas and barbacoa at the chain’s customary low prices. The surprise, if any, was that this store was not in a city in Mexico but in Houston, Texas, USA. Wal-Mart’s logic behind the format is that it would be more relevant to the heavily-Hispanic population in the catchment of the store in Houston, and that it was a natural evolution to what they had been doing for years. However, some customers and observers do not agree. Quite a number of people are up in arms against this “pandering to immigrants”, which they see as a threat to the unity, homogeneity and identity of the United States of America. One internet commentator condemned this segregation with a rather unique view, saying that segregating customers like this was actually “racist” and belittled the Hispanic customers who live in that area. We should probably wait for the dust to settle on this debate. Spanish-speaking customers may actually respond positively – or not – to this new format. Yes, some defensive or aggravated English-speaking customers may also boycott Wal-Mart over this move. As for me, I believe that it is a good move for Wal-Mart to test how far customization can help their business and how finely they can tune their response to customer demands, because they will need all the learnings they can get to effectively tackle markets that are even more different around the world. Of course, many retailers and marketers in a market such as India would be puzzled by all this fuss. After all, if a Chennai-based company opened stores in Maharashtra, it wouldn’t put up signs in Tamil, neither would a Punjab-based retailer expect its customers in Imphal to understand promotions in Punjabi. 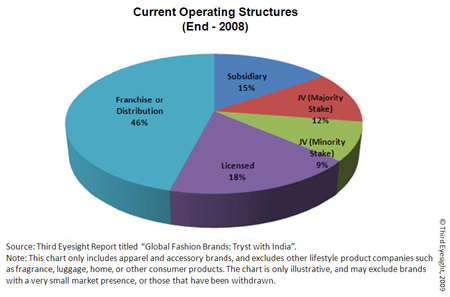 Fragmentation and customization is a fact of life to the Indian retailer. Or is it really that clear? In fact, India has its share of marketers who seem to think and plan mainly in upper income metropolitan-English, and this bias creeps in not only in the content and structure of promotions but also, unfortunately, influences the merchandise mix. Even while PowerPoint presentations are made about how diverse the country is, and how it is possibly more like many countries rolled into one, we often make use of cookie-cutters for designing our product plan, our marketing strategy and everything else that defines the retail store and the customer experience. Now, before I am labelled unfair for making sweeping generalizations, let me also say that other than any such urban English bias, there are also another couple of reasons why a retailer may take a template-based or cookie-cutter approach to the market. 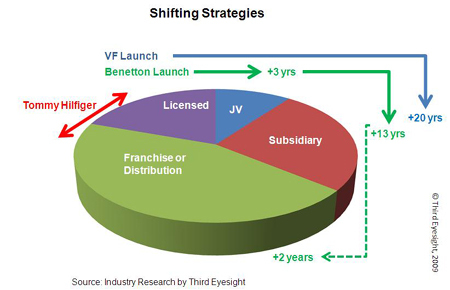 Firstly, if you’re launching a new retail chain, there is a need to derive efficiency by driving scale as quickly as possible. Repeating the product formula across locations allows a retailer to increase the impact of merchandising efforts in terms of additional margins due to volume margin terms and better negotiating power with the supplier. Also, the management effort is used in a much more focussed manner, lowering effective management costs. Secondly, there is the need to demonstrate a consistent image across the entire footprint of the chain, and to appear to be a chain. Repeating the product and presentation formula reinforces the common image and branding. However, the pertinent question is whether there is any point in following a consistent identity if it appears alien and irrelevant to most of your target customers? In a category such as grocery, where the customer don’t really shop across multiple stores in a chain, is it better to be locally relevant rather than consistent across the country or even a region? Clearly, if you have a national or international template that is locally irrelevant, you don’t have any chance of succeeding with the consumer. On the other hand, is it really organisationally possible for a chain-store to be local, and if so how can it best strike the balance between chain-wide consistency and tweaking the offer to provide local focus? To my mind the starting point is the definition of an identity based on a clear value proposition and operating principles. This includes a range of factors from the visual elements of branding to how the staff stack shelves or interact with the customer. The next step is to make the merchandise locally relevant, because that is what creates the transaction. The answer to “how much local” would also provide the answer to “how the locally-relevant merchandise should be managed”. Organisational models could range from entirely centrally-managed local merchandise and data-driven decisions, to central management of range architecture and purchases but local pull-based replenishment, to outright purchase from local vendors by the specific store’s management to create a truly local store. Of course, devolving range and purchase decisions to local management raises issues about maintaining control as well. To a certain extent processes and system can help to mitigate the risk of fragmentation of the identity or potential mismanagement. But the strongest glue is culture, as the manifestation of the organisational identity. Culture defines most strongly “the way” the organisation works. Imagine the business as an individual with a well-defined personality. In different cities that individual might speak different languages and dress in different clothes, but still express the same values. With a well defined and well expressed organisational personality, localisation can occur without fear of corruption of the brand identity, consistency and controls. Then the chain-store can truly become a local store and part of the consumer’s life as it is. The other choice, of course, is to wait for a significant part of the local consumer to adapt to your international or national template. Would you be prepared for that?